By Lisa Steele on September 23, 2012 Visit Lisa's Website. We know it’s fall by looking at the calendar, but here in southeastern Virginia it can go either way. Sometimes the heat of summer continues well into October, while other years it’s like Mother Nature flipped a switch and we are dragging out our heavy sweaters and turning on the heat just after Labor Day. But regardless of the temperatures, here are some sure signs that it’s fall on our farm that never waver year to year. 2. Time to Plant the Cold Crop Garden. Our tomatoes, squash, and cucumbers are long gone. 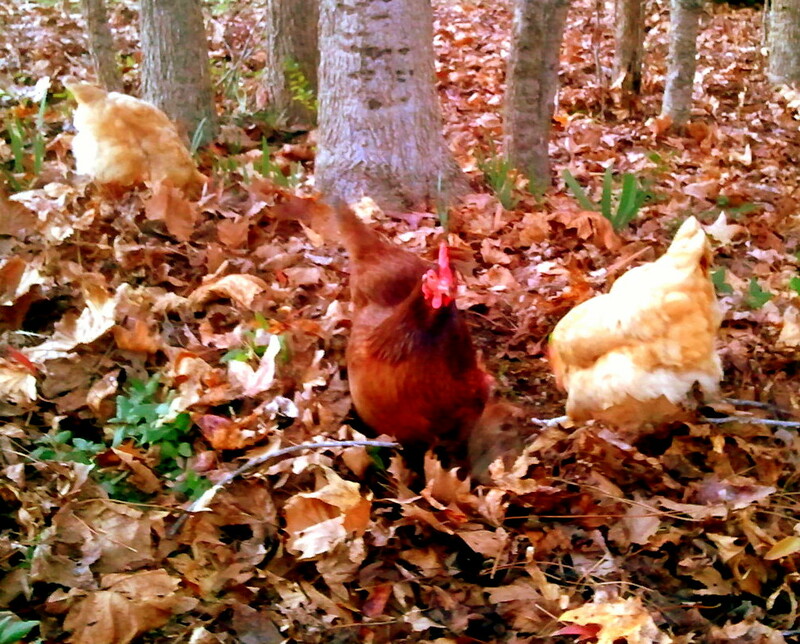 Fall is the time to plant cold crops for the chickens to munch on. We often don’t get a hard frost until January, so there’s plenty of time for kale, Swiss Chard, peas, beets, carrots and all kinds of lettuce to mature and be harvested. 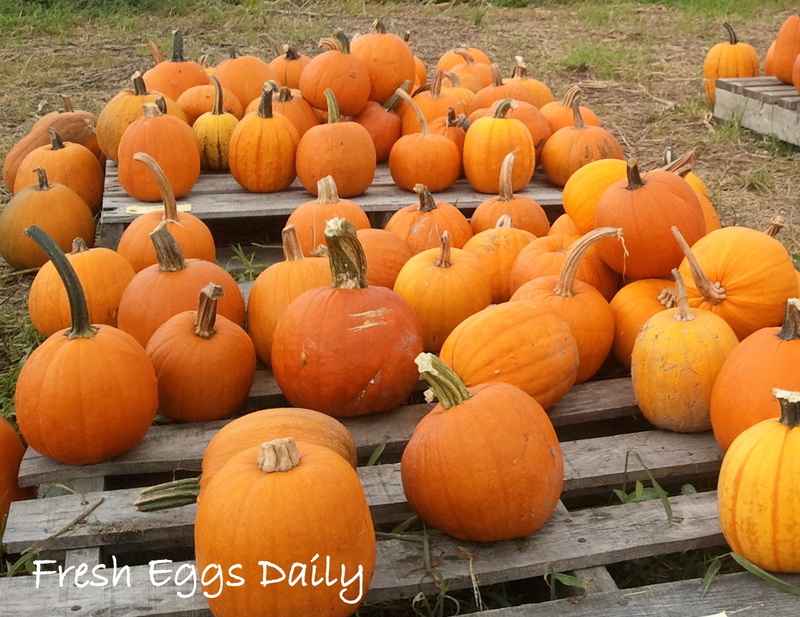 It’s also time to start harvesting our pumpkins. Pumpkin seeds are thought to help combat intestinal worms in chickens, so they are a big part of our hens’ fall diet. 3. Molting. 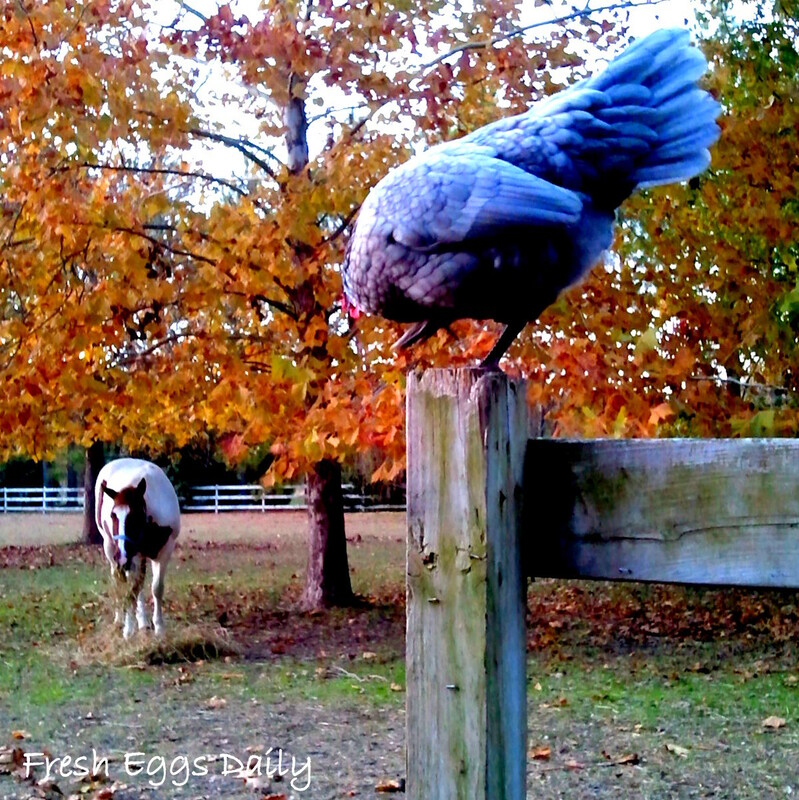 Fall brings on a molt, triggered by the shorter days. 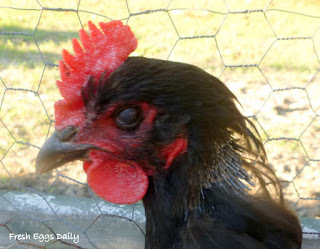 That means we have a scraggly group of hens for a few weeks, as they lose their old feathers and new ones grow in. The run looks like there’s been a pillow fight. Additional protein is helpful to them at this time of the year. 5. Time to Dry Herbs. I plant a large herb garden each spring. 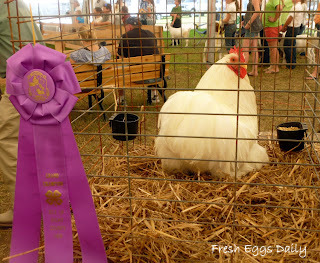 Not only do I cook with herbs, but I use them in our nesting boxes and coop for their fragrance as well as natural pest repellent properties and other health benefits to setting and laying hens. I brew herbal tea for the chickens year round and make Mint Ice Pops for them in the summer. It’s wonderful using fresh herbs all summer, but before it gets too cold, I harvest the remaining herbs and dry them to use through the winter. 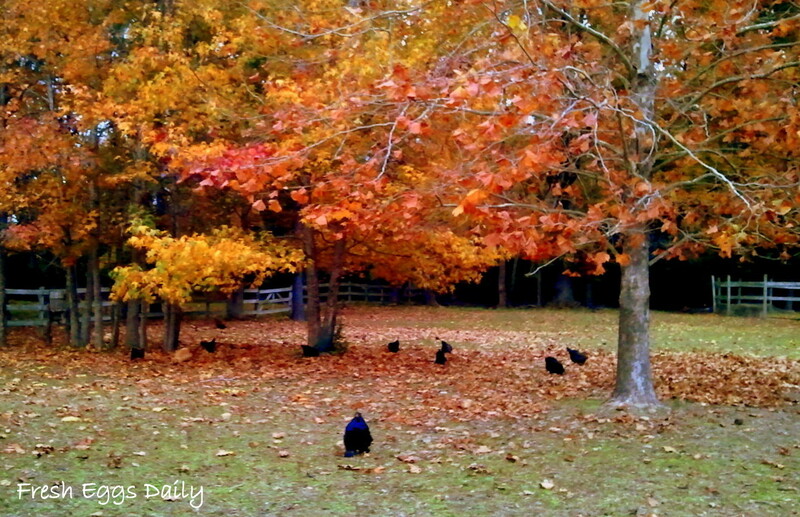 Of course, the leaves start to turn colors and fall to the ground, and the chickens love rummaging through them looking for bugs. We don’t quite get the beautiful foliage that the New England states get, but some years we do ourselves proud here in the South! Fall is my favorite time of year. Summers here in Virginia can be brutal, both on us and our animals, and we all breathe a sigh of relief as the mercury, as well as the humidity drops and nights, become cool and crisp, while days are cooler as well. Soon enough it will be cold and damp and we’ll be dealing with ice, freezing rain and sleet, so we enjoy fall for as long as it lasts.